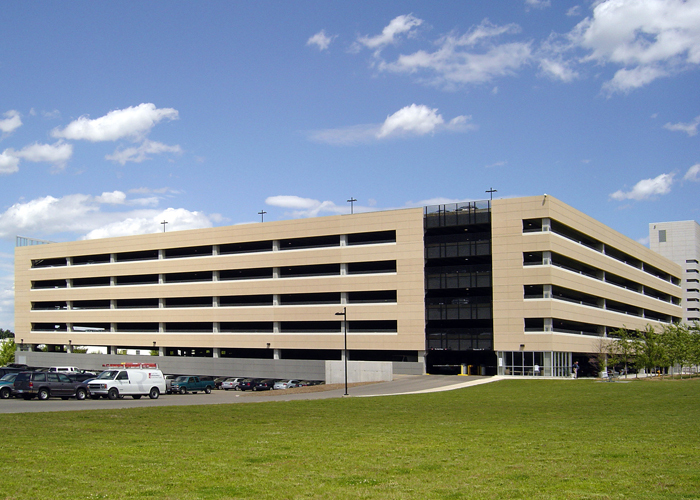 The overall structure of this five-level parking ramp, including columns and shear walls, is precast concrete on a foundation of driven pipe pilings. Double tees with 60 foot spans in the floor system eliminates columns around the edges of the drive spaces. 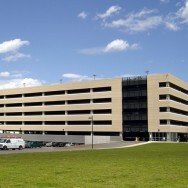 The ramp accommodates 1,140 vehicles.